The liver is responsible for filtering every substance that enters and leaves your body. This large organ helps to maintain blood flow and circulation, break down nutrients from foods and distribute nutrients. The liver also prevents toxic chemicals from harming your body. Hence, liver health impact the functioning of the entire body. Likewise, problems in other organ systems can impact the level of functioning your liver sustains. Eating more natural foods such as garlic in addition to a balanced daily diet can help keep your liver healthy. Garlic contains a sulfur compound called alliin, which converts to the active ingredient allicin, when this root herb is chopped, crushed or minced. Allicin is a powerful antioxidant, antibiotic and anti-fungal substance, with numerous benefits to liver health. Garlic also contains arginine, an amino acid important for relaxing the blood vessels, and selenium, a mineral important for increasing the action of antioxidants. The antioxidant properties of garlic serve the most significant benefit because they keep toxic substances filtered by your liver from reaching other organs. A type of cholesterol called very-low-density lipoprotein, or VLDL, is made by the liver and facilitates the movement of fats in the bloodstream. VLDL plays an important role in the metabolism of energy and fat. However, high levels of VLDL and other cholesterols, can damage your liver and lead to increased risk of heart disease. Adding garlic to your daily diet may help balanced these fats. 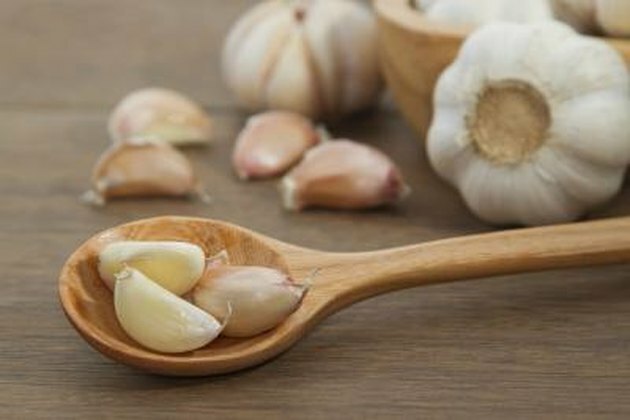 According to a 2002 study in the "Journal of Nutrition," daily use of fresh garlic extract reduces levels of pre-existing elevated VLDL and triglyceride fats formed in the liver. A healthy liver breaks down natural and ingested toxic chemicals. Natural toxins such as bilirubin, which is a waste product resulting from the breakdown of heme in red blood cells, can cause liver hepatitis. Ingested toxins such as acetaminophen, an over-the-counter pain reliever, can also cause liver damage or death. 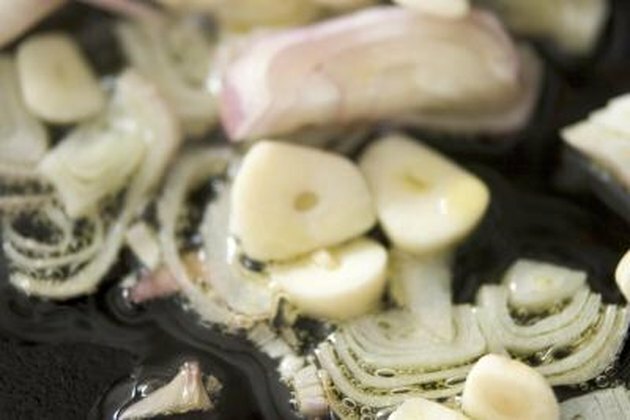 According to a 2009 study in the "Internet Journal of Nutrition and Wellness," fresh garlic extract administered to mice that overdosed on acetaminophen reversed the oxidative stress causing liver toxicity. Fresh garlic contains significant levels of amino acids and proteins and antioxidant compounds that may help to protect the liver from natural and environmental toxins. 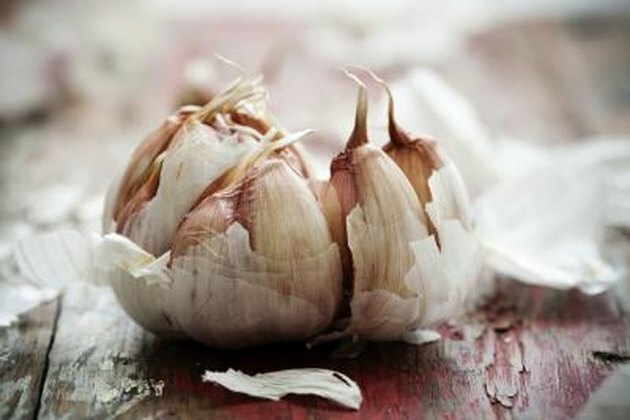 For optimal liver health, use at least four cloves of fresh garlic daily in food preparations. 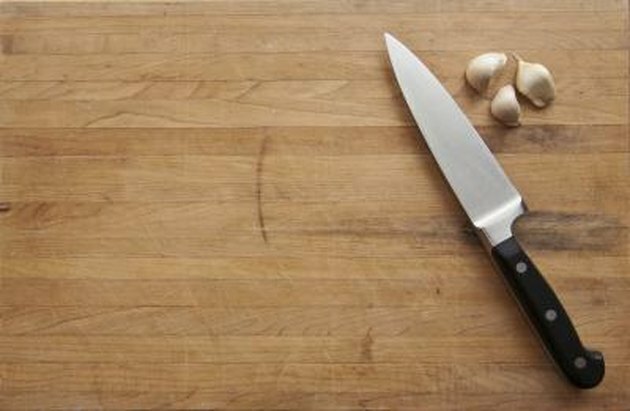 Add chopped fresh garlic to your cooked meals at the end of the cooking process to retain the enzymes and nutrients. Garlic supplements contain varying amounts of active ingredients; read package labeling to determine dose recommendations. The University of Maryland Medical Center recommends that standardized 200 milligrams freeze-dried garlic tablets containing 0.6 percent allicin should be taken up to three times a day. 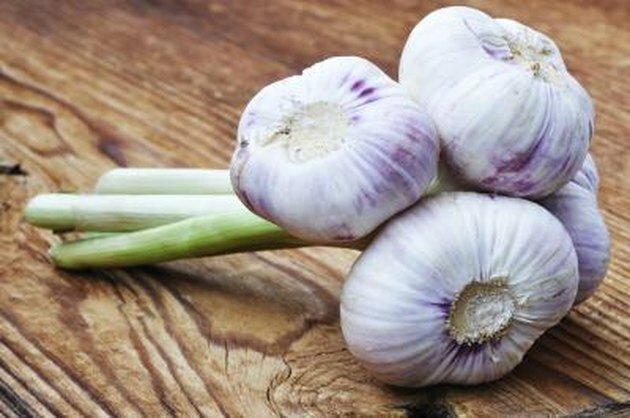 Garlic is a natural blood-thinner; consult your physician before using supplements.